The 2018 Gold Coast Commonwealth Games are officially done and India have plenty of positives to look back on. India surpassed their Gold tally from the previous edition, held in Glasgow, before the final day itself. Medallists rose from nine sports - Athletics, Badminton, Boxing, Para Powerlifting, Squash, Shooting, Table Tennis, Weightlifting, and Wrestling. Plenty of Indians broke the Games Record as well, starting with Mirabai Chanu on Day 1. Further, six Games Records were broken in Shooting. Due to this amazing performance by the Indian contingent, we take a look at whether they would've made the medal cut in the Olympic Games two years ago, had they come up with the same performance. Keep in mind that we have not taken into consideration events which follow a 1v1 or a 2v2 knockout-style format, such as Badminton and Boxing. 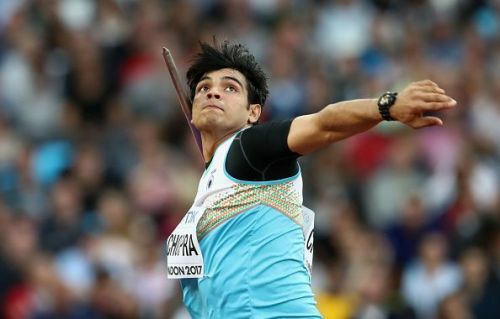 20-year-old Neeraj Chopra was a heavy favorite going into his event - Javelin Throw. He did not disappoint, throwing a distance of 86.47m, just 0.01m shy of his personal best, to win the Gold medal. Neeraj is one of the best prospects in track and field events that India have had for years and expectations will be slightly raised two years from now at the Tokyo Olympic Games. However, had Neeraj participated in the same event two years prior to the Gold Coast Games, in Rio, he would've ended up with a Bronze medal. His throw of 86.47m would've been 1.09m more than the current Bronze medallist, Kershorn Walcott.